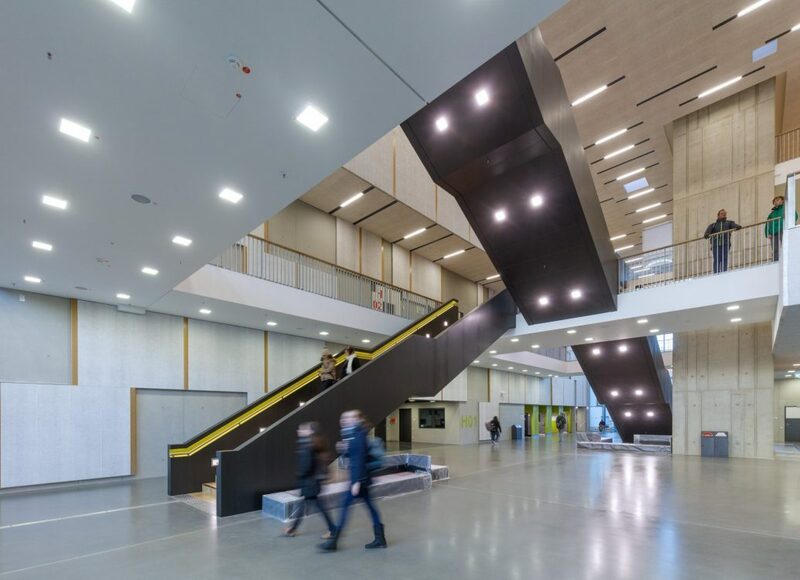 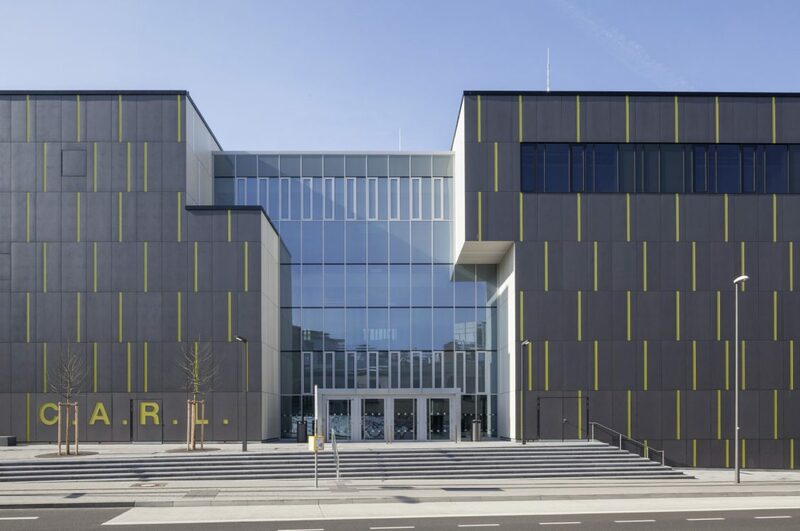 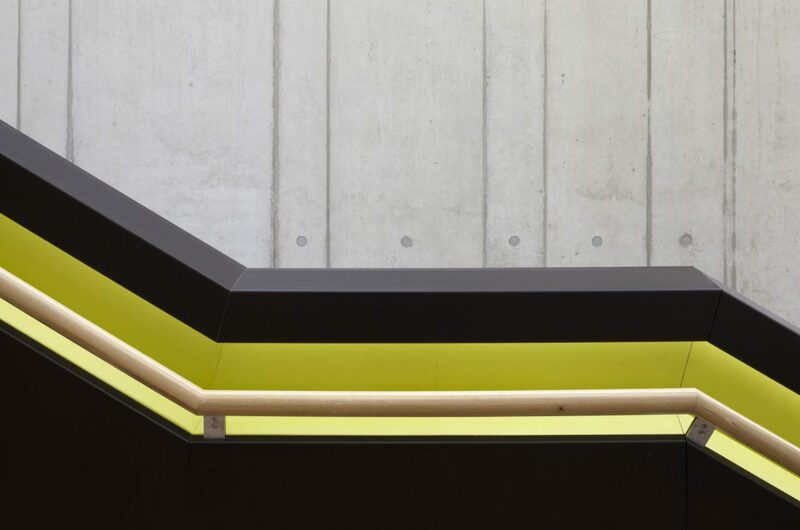 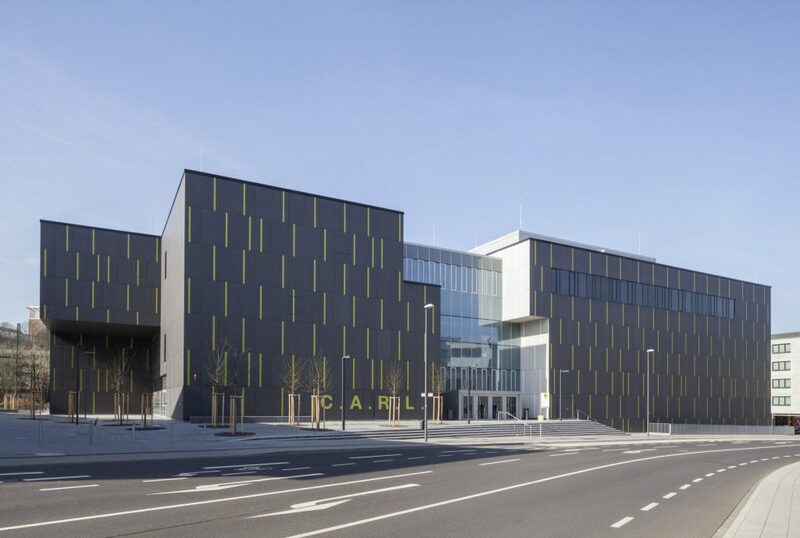 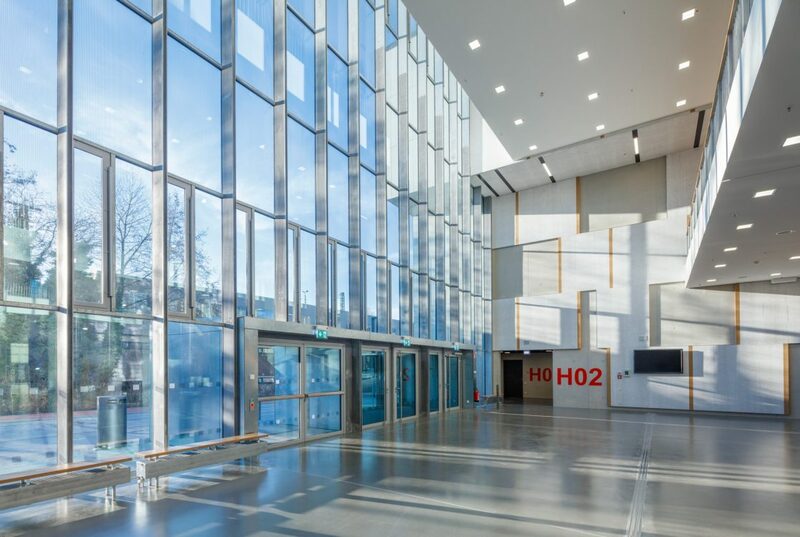 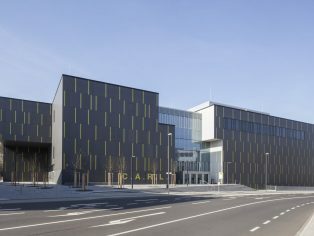 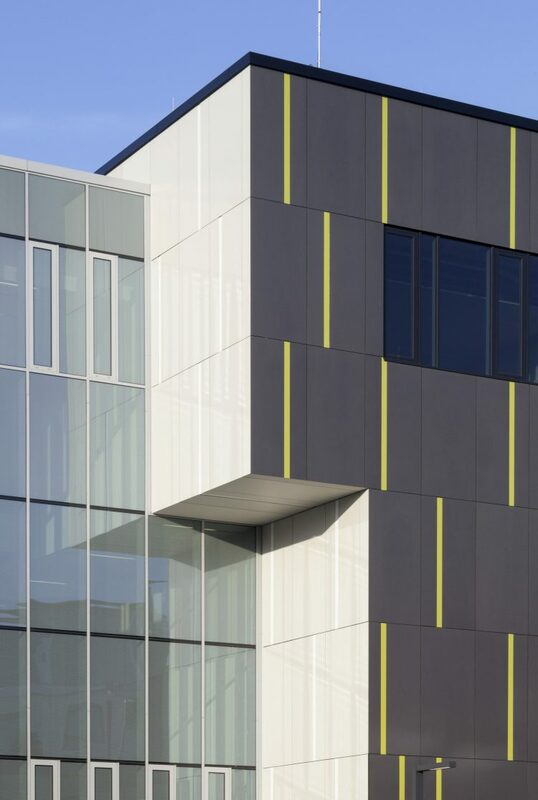 One of the largest and most modern lecture facilities in Europe has been officially inaugurated on the campus of RWTH Aachen University in Germany. 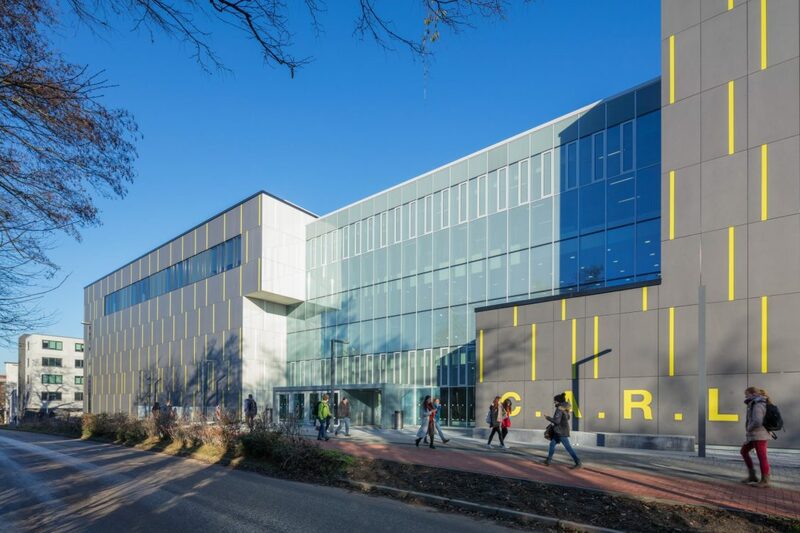 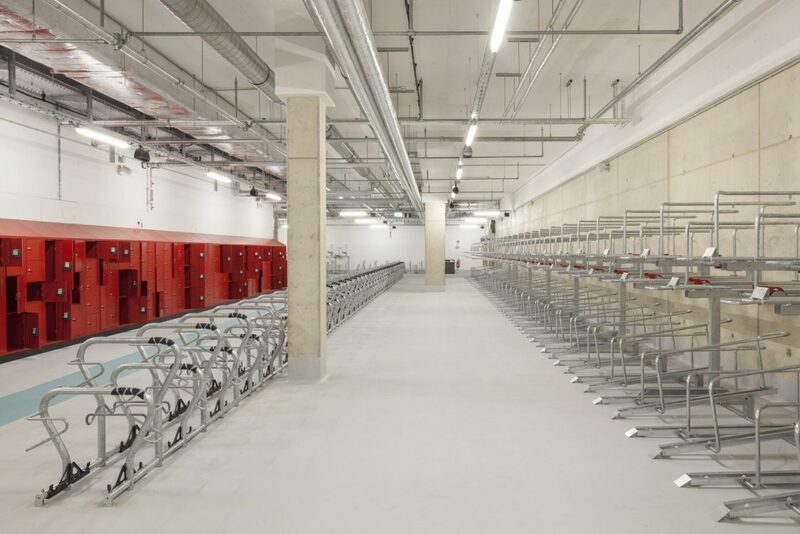 The new 14,000m² facility named C.A.R.L. 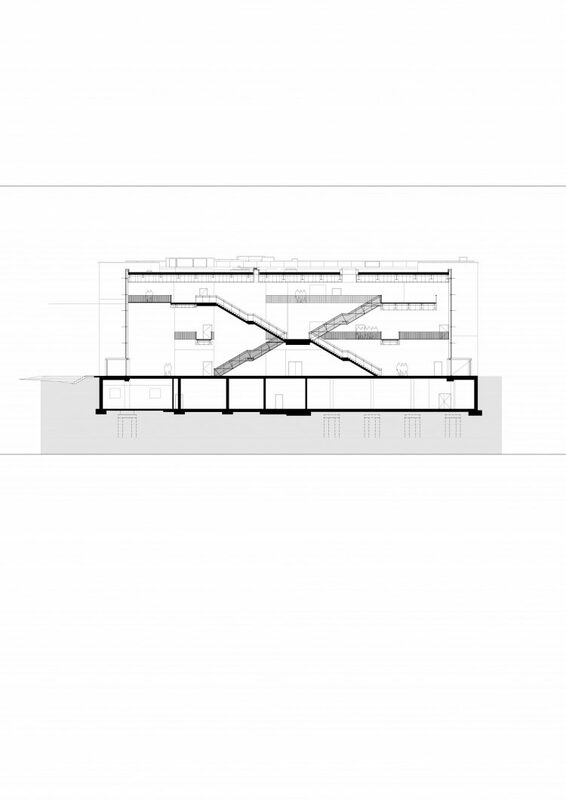 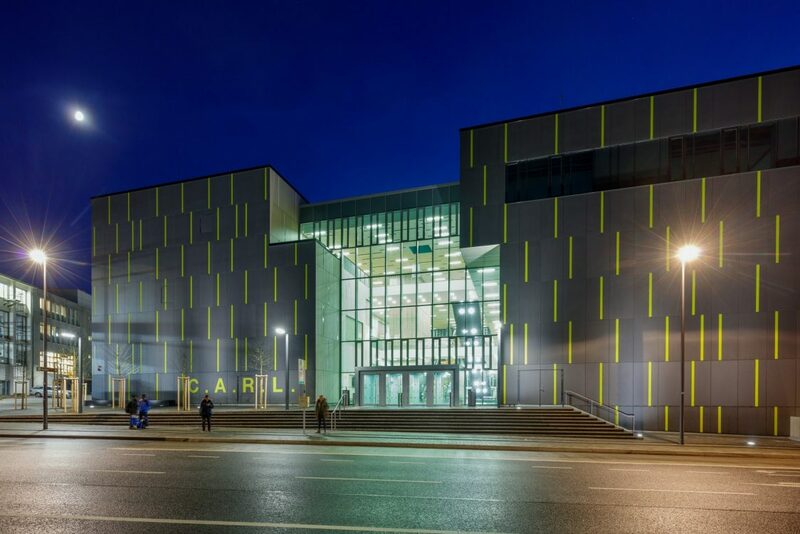 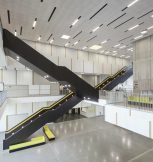 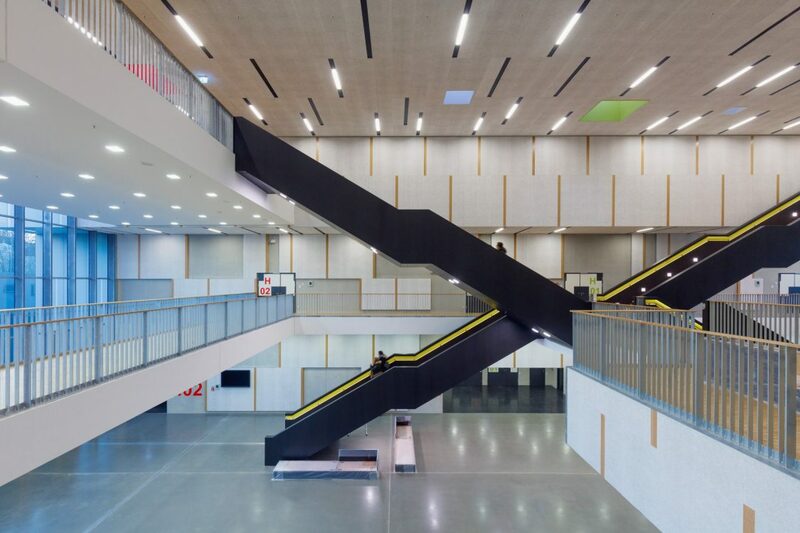 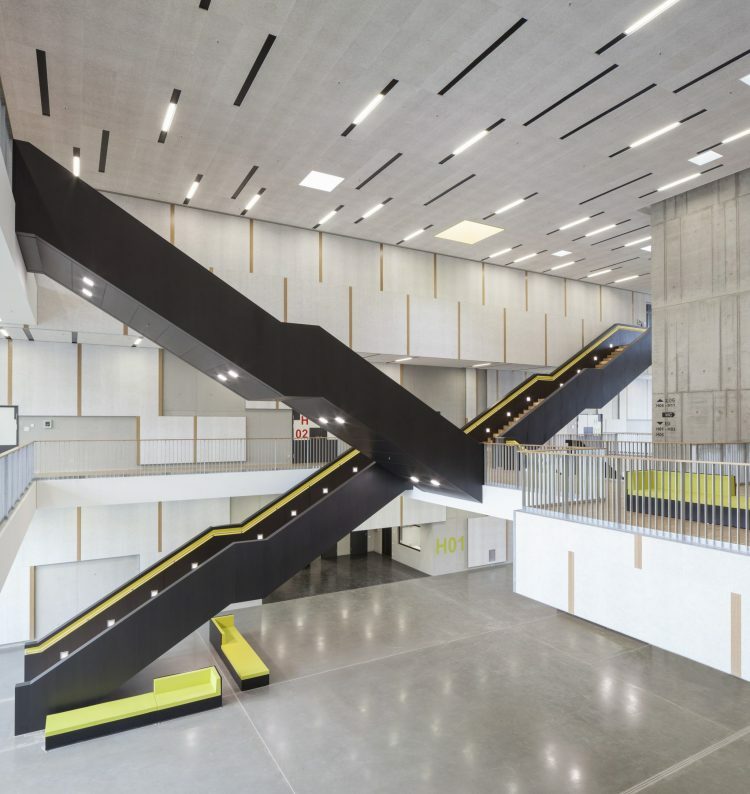 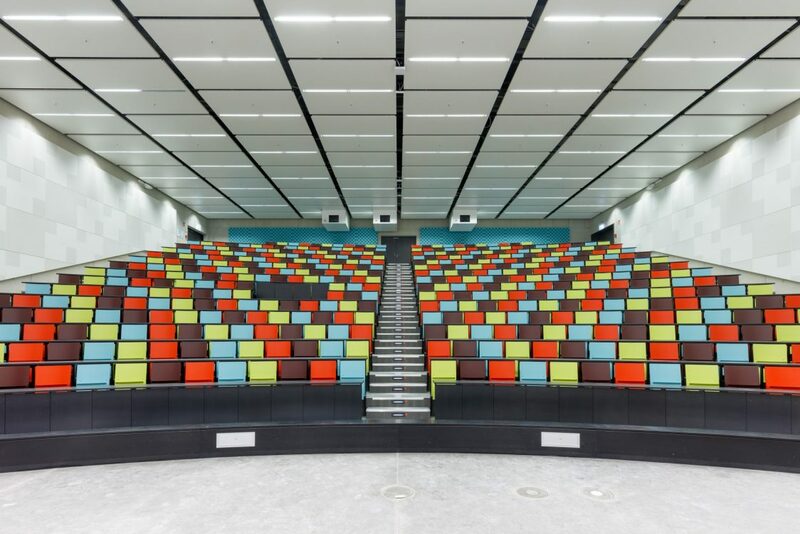 (Central Auditorium for Research and Learning) offers space for over 4,000 students and comprises 11 lecture halls, 16 seminar rooms, break-out spaces and cafes, as well as housing the University’s physics collection, storage spaces, workspaces and a large bicycle parking basement. 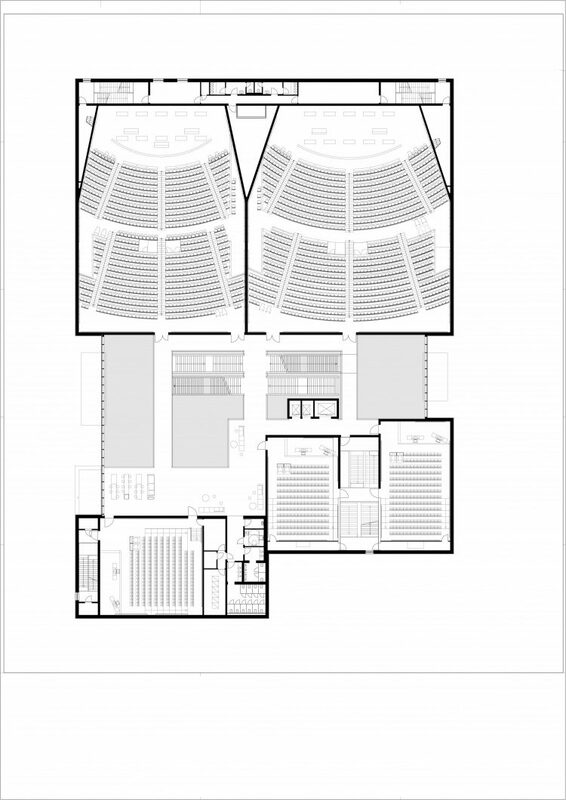 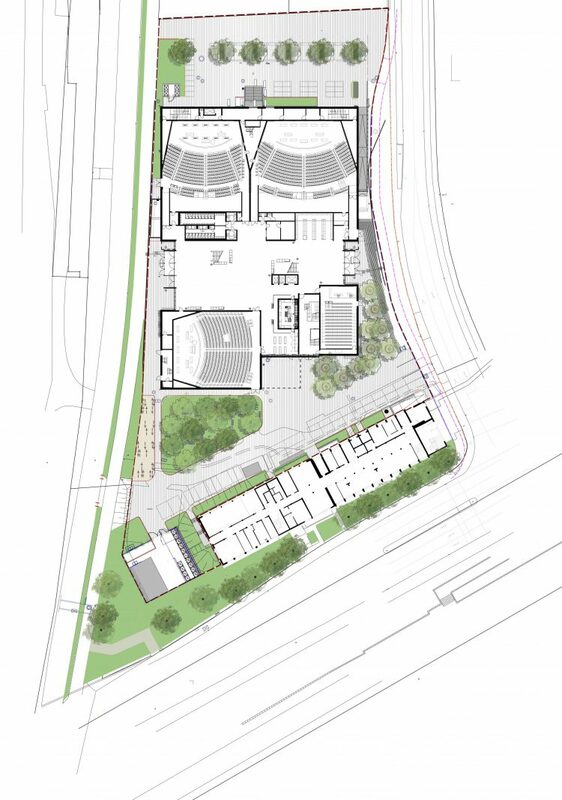 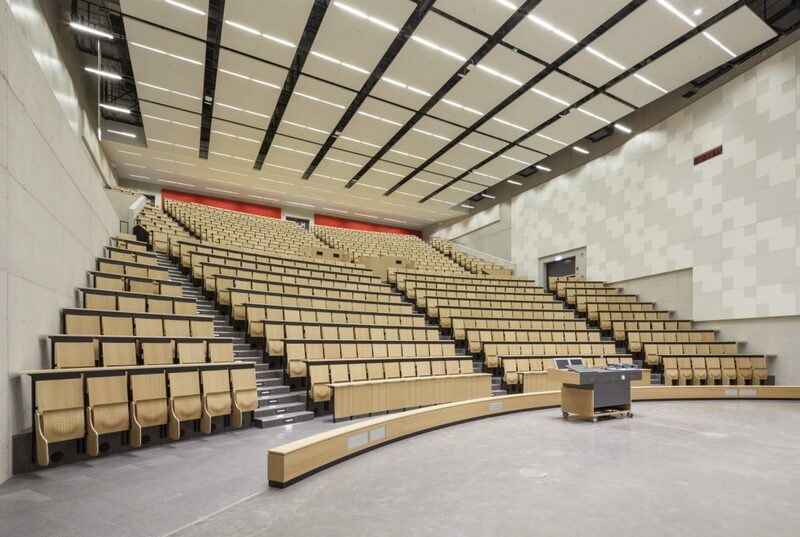 The two largest lecture halls contain 1,000 and 800 seats within the new building.